Where is always the first question to ask yourselves. Why would you waste time looking at retirement places in the northeast if you never want to see snow again, or in the southwest if you hate desserts? 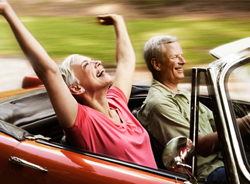 Many people retire to Florida, and there are good reasons for this. Florida temperatures are mild year round, especially in central Florida, where you have two beautiful coastlines to explore, and large cities like Tampa and Orlando with ample entertainment for whatever you enjoy. 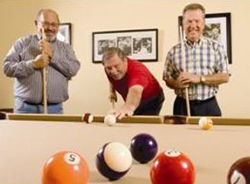 Century Residential has built many retirement communities in central Florida. One of our most luxurious is Vienna Square, which offers either villas or single family homes. When you retire, there will be many things you want to leave behind, besides the stress and time constraints of your career. Home maintenance is one thing most folks have had enough of by 55; living in a maintenance-free home is often a priority. 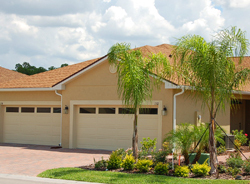 All villas inVienna Square are maintenance-free and our single story homes are low maintenance. We take care of everything. Security is another big consideration for seniors or soon-to-be seniors. Vienna Square is a gated community, and all homes come with a security system for a double layer of safety. Our houses and villas are beautiful, and come in varying sizes and designs so you can choose the one that suites you best based on how much entertaining you intend to do and how much home you are comfortable with. Housekeeping is available, as are many other services that you may desire as time goes by. Vienna Square also has a magnificent clubhouse with regular organized activities and plenty of places to mix and mingle casually. You can also take advantage of our fitness center to help you keep in shape, or play tennis, swim year round in a heated pool, or lounge in the whirlpool. There are hundreds of Florida retirement communities; everything from apartments and condominiums, to golf courses surrounded by large homes. We hope you will let us arrange for you to visit Vienna Square so you can see what it has to offer. 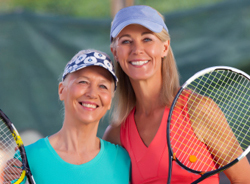 Century Residential has a sterling reputation for offering the best in over 55 living.